have something to smile about. The health of your teeth is just as important to us as it is to you. Let us put our years of experience to work for you. If your teeth aren’t as white, even or straight as you would like, we can help give you the smile you’ve wanted. Your smile will shine even brighter when it is kept in good health with regular exams from Arthur G. Nathan DDS. 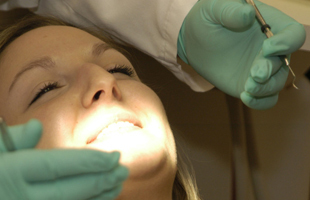 With regular check-ups and cleanings, you can avoid the physical and financial pain of future major dental problems. Visit us every 6 months as recommended, and your teeth will thank you! You may not expect to have a good time during your dental exam, but we strive to make the experience as comfortable as possible. In addition to our well-trained staff, our sweet air anesthesia will help to put you at ease. You are even welcome to use headphones to listen to your favorite music while we work on your smile. Your beautiful, healthy smiles starts with dental services from Arthur G. Nathan DDS. Copyright © 2019 Dr. Arthur G. Nathan. All Rights Reserved.